Avanakshamma temple is located in Narayanavanam, Chittoor District. It takes 5 mins drive from Kalyana Venketeswara Swamy Temple(Narayanavanam.). It is 40kms away from Tirupathi(on Tirupathi-Chennai road). At one time Narayanavanam was capital of the Kavetinagar Suryavanshi Raja’s. Fort is located behind Avanakshamma temple. Avanakshamma (small) idol is Swayambu and the idol which is bigger in size is installed later on. Lord Brahma installed and worshipped Avanakshamma here. It is located close river Aruni. 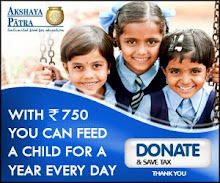 Agasthya Muni named her as “Ammayakshi” which means goddess with “Vedas as her eyes”. 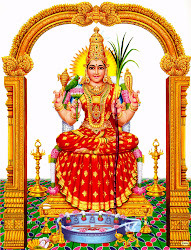 She is also called as “Avanasini Devi” which later on changed as” Avanakshamma”. Goddess Padmavathi Devi offered prayers to Avanakshamma before her marriage with Lord Venketeswara Swamy. She did Gowri Pooja here. This temple is built by Akasaraja’s (father of Padmavathi Devi) grandfather and now this temple is being renovated. In earlier days Rakshasa named Somakasura used to trouble all saints and destroyed the Yagas done by them. Lord Brahma started a Yagam to kill Somakasura. Somakasura came to know about it and he wanted to destroy the Yagam. Lord Vishnu came to know about this through Naradha Maharshi. Lord Vishnu in the incarnation of Sri Bhoovaraha Swamy went to kill Somakasura. When he reached river Aruna he saw goddess Adilakshmi and fell in love with her and left his Ugra Roopa. From then this place is called as Bhoo Varaha Kshetram. Then Naradha Maharshi prayed Goddess Parvathi, she took the incarnation of Kaalika Devi and killed Somakasura. Lord Brahma asked her to stay in Akasaraja’s fort as Swayambhu. Goddess Padmavathi and lord Venketeswara swamy also performed poojas here. Kumkum Pooja: It is believed that those who visit this temple and perform Kumkum Pooja will get married soon. ABHISHEKAM: Abhishekam is done on Tuesday, Friday & Sunday at 8.30 A.M. 1hr Abishekam and half an hour Alankaram. Ticket cost: 30Rs (poojas items should be taken by the devotee). 1. Sri Vedanarayana Swamy Temple, Nagalapuram. 2. Agastheeswara swamy temple- 5 mins drive from avanakshamma temple. 3. Sri Kalyana Venkateswara Swamy Temple,Narayanavanam. 4. Sri Kalyana Veerabhadra Swamy Temple, Narayanavanam.